​​This 2589 square foot barn style home was designed as a primary residence in Old Chatham, NY. This post and beam home has a lot of barn style charm, from its barn red paint color, to the cupola on top. First floor is 1,633 square feet. Second floor is 956 square feet. The country kitchen features soapstone countertops and red stained cabinets while a red brick fireplace adds charm to the main living area. 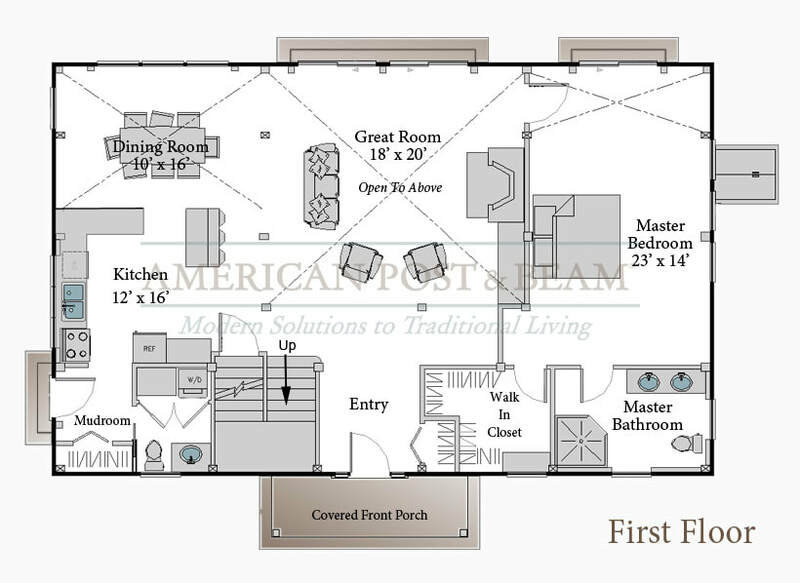 All of our home plans are fully customizable. Don’t see anything that meets your needs? Our in-house design department can work with you to design a completely custom home that fits your budget and your lifestyle. Read more about our in-house design services. Please feel free to contact us if you would like to learn more about any of these plans or to share more about your vision for your post and beam home design. We’ll then be able to contact you with ideas to match what you are looking for.